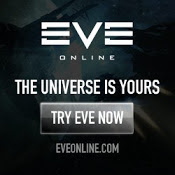 I have set up a new page on this Blog dedicated to listing those blogs that focus on making ISK in Eve Online. These blogs are also included on my blog roll and are the ones i have found so far that have a large element devoted to making ISK through various business routes in Eve. Worth also checking out my page that keeps a list of youtube videos on making ISK in Eve Online that i have found useful. Please feel free to post any additions to me.